If you have hens and roosters, chances are you’re wondering how to store chicken hatching eggs so you can raise your own chickens. 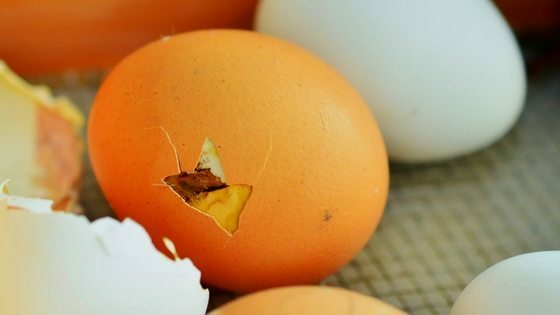 Tip #3: Stay away from cracked eggs. At least, that was the first question I asked myself as soon as I realized I would have fertile eggs for hatching. The first time we hatched chicks on our homestead, it was a great day – we could increase our flock (and our food supply), develop our own line of healthy hens, and watch as the chicks grew into healthy adults. Fun! I’m sure you will want to start incubating your own chicken eggs also – and it starts with storing them properly. 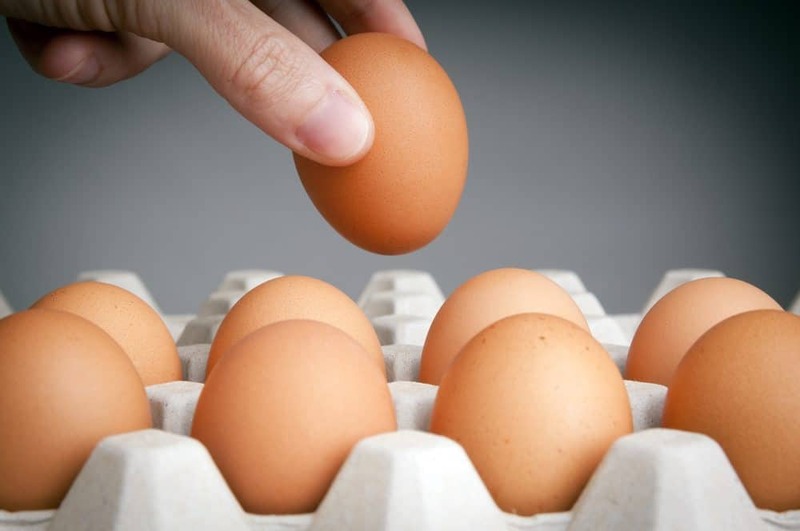 In this article, I’m going to show you how to store your chicken eggs so they’re in the best shape possible for incubation – yes, how you store the eggs does impact whether they are likely to hatch or not. If you want to learn how to hatch chicken eggs, I have a detailed article on that here. And I’m going to assume you have both hens and roosters – without the rooster, your chicken eggs won’t be fertile. As you probably know, when eggs are laid, they have something called the “bloom” on them. This extra layer keeps bacteria and other nasties out of the egg, protecting the precious oocyte from harm. It’s important to not wash your hatching eggs – you’ll remove the bloom, and potentially expose the chick embryo to bacteria, crushing your hopes of hearing peeping and getting to watch them zip into life. Abnormally-shaped eggs are good for eating in most cases (there are some exceptions like lash eggs), but they won’t really give you a good result when it comes to hatching. 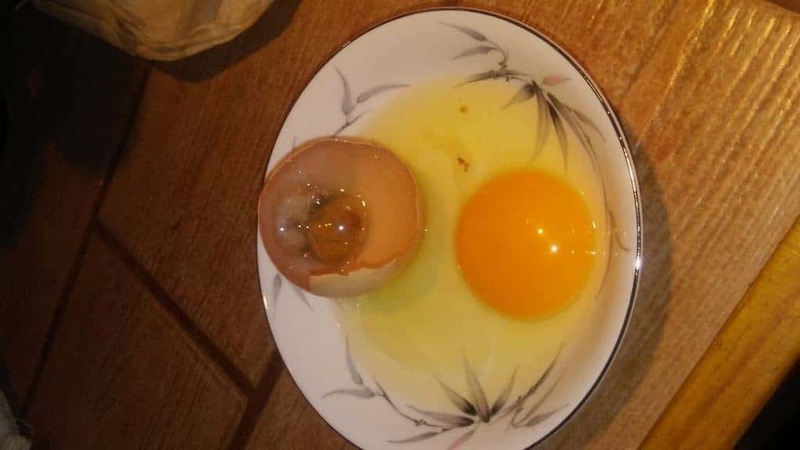 Excessively big eggs might contain double yolks (these rarely hatch because there’s not enough room in the shell for both embryos in most cases) or even another whole egg. Chicken eggs with a lumpy shell might not have a big enough air sac or an air sac that’s too large. Bottom line: You only want to incubate eggs that are a regular egg shape. Yes, you can glue a crack back together, and it might hatch. But make things easy on yourself – only incubate uncracked eggs. Start by collecting eggs no more than 10 days before the incubation process (the fresher, the better), and keep them out of an area that’s too hot or too cool (room temperature is best) and away from the sun. The last thing you want is too much heat to kick start the incubation process. If you live in a hot area (for example, if it’s over 100 degrees every day in the summer), you’ll want to collect your eggs frequently. I’ve had readers send me photos of eggs they had left in their coop for too many days – and indeed, the embryos in the eggs had started to develop. It’s gross, and you don’t want to deal with that. Another common question I get is “how long can eggs sit out before incubating?” I personally don’t incubate eggs that are older than 10 days, and I prefer eggs that are no older than 7 days. Keep your chicken hatching eggs in cartons like these (or like this if you want a reuseable one) to keep them safe and clean, and be sure to store them with the pointed end down. This will protect the air sac and make sure the yolk stays where it should, which is critical for your chicken embryos to grow into chicks. This is to prevent the embryo from sticking to the internal membrane. Hens turn their eggs seveal gimes a day; you can do it 2-3, and just be sure to do it gently. That’s pretty much the skinny on storing chicken eggs for hatching! How do you store chicken hatching eggs? What are your best tips? Leave a comment below!